When the temperature drops, the Cold Weather Package has you covered. Features include heated first-row seats, heated exterior mirrors and electronic automatic temperature control.The Cold Weather Package is available on SE and standard on Titanium vehicles. 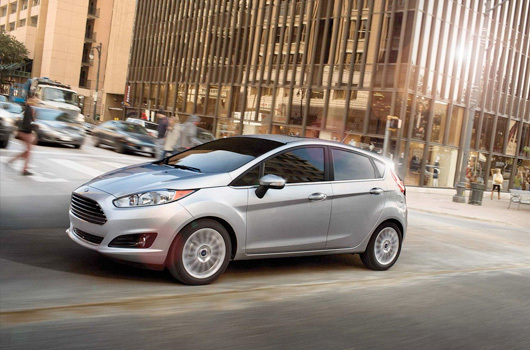 Open the door to Fiesta and take your seat. You're greeted by refined craftsmanship, an intuitive center console, soft-touch materials, available ambient lighting and available painted metallic accents. 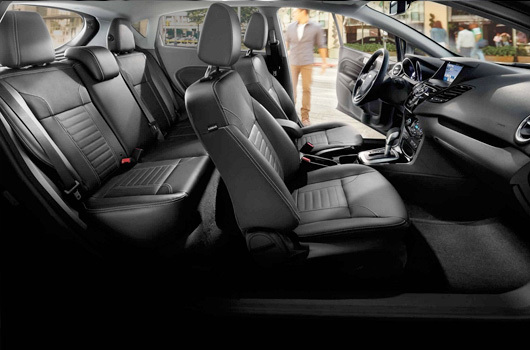 If you like, you can equip Fiesta with available leather-trimmed seats for a total sensory experience. The available PowerShift six-speed automatic transmission with SelectShift delivers both excellent fuel efficiency* and fun-to-drive performance, using its dual-clutch technology to produce continuous torque to the drive wheels. Standard EPAS helps deliver agile maneuverability and responsive handling. It offers pull-drift compensation to help correct for road irregularities and improve overall steering feel, and active nibble control to help smooth out minor tire vibrations. The system continues to learn and adapt to steering conditions and gradually compensates for changes that can cause the vehicle to pull left or right. If you can't live without your music, the available Audio System from Sony® with HD Radio Technology is just what the doctor ordered. It delivers 100 watts of sound through eight premium, high-quality speakers made up of four woofers and four tweeters. 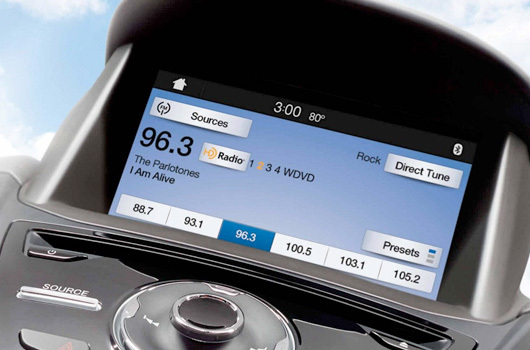 HD Radio Technology features extra channels in a wide variety of genres located on the FM dial, adjacent to your longtime favorite stations. And every station broadcasts a crystal clear, static-free signal. Get a clear picture of what's behind your vehicle and see things you might otherwise miss. 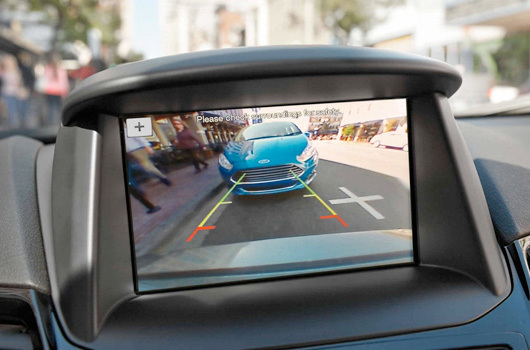 Shift into Reverse and slowly back up ‐ the available rear view camera automatically transmits the image to the 6.5-inch display screen in the center stack. This smart system includes a five-year prepaid SiriusXM Traffic and Travel Link trial subscription. 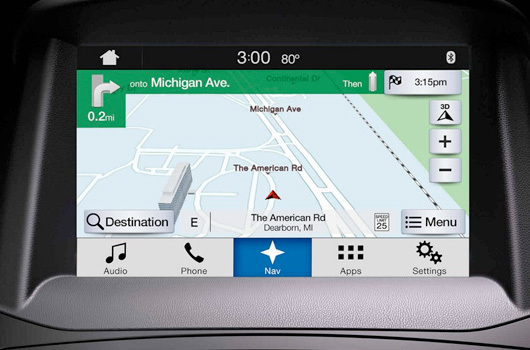 Global Positioning System (GPS) technology is combined with 3-D mapping and provides voice-guided turn-by-turn directions. With SiriusXM Traffic and Travel Link, you'll get detailed traffic information, plus current and forecast weather, gas station locations and prices, sports scores and schedules. 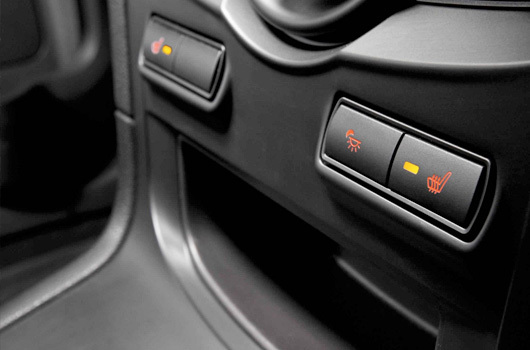 When the key fob is in your pocket or anywhere on you, you can simply press the button on the door handle to open. 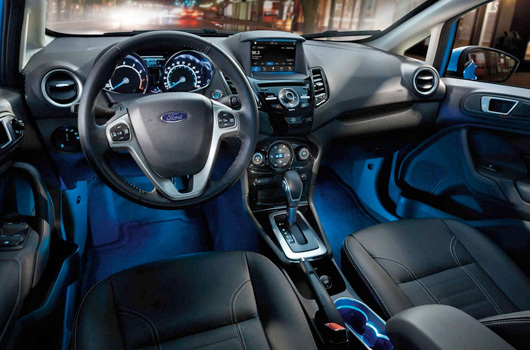 Once you're in, step on the brake pedal (or clutch for a manual transmission), press the power button and go.